https://sdvg.org/wp-content/uploads/2018/08/SDVG-San-Diego-Venture-Group-VC-Community-InvestSD-Feature-2018-Video-SD-Why-Now-by-WondertreeMedia-01-1.png 673 1000 Nicole https://sdvg.org/wp-content/uploads/2018/11/sdvg-san-diego-venture-group-southern-california-vc-startup-business-investor-community_Logo-01-1.png Nicole2018-08-20 12:23:512018-08-21 00:32:42San Diego: Why Now? April 20, 2018 — San Diego Venture Group, a nonprofit association with a mission to support and promote the venture capital and startup company ecosystem in the San Diego region, is in full swing of its annual Cool Companies program. Each year, SDVG opens applications to the community, gathering hundreds of the most exciting businesses, ready to raise Seed, Series A and Series B funding. Then with an expert selection committee sourced from the community, SDVG picks the top 30 to 40 companies with greatest potential and revolutionary to their industry — and dubs them ‘cool.’ Startups selected to be Cool Companies are invited to attend private settings with Venture Capitalists. SDVG’s Cool Companies from 2016 and 2017 have collectively since raised over $100M. In terms of companies attracting capital, the 30 SDVG Cool Companies of 2017 outperformed the 200 companies in last year’s TechCrunch program in San Francisco. “SDVG is laser focused on making an impact for regional startups. While Silicon Valley programs can cost companies upwards of $2,000 to display their wares, for example, the Cool Company program costs absolutely nothing for startups” said Mike Krenn, President of SDVG. SDVG invites Venture Capitalists from all over the country to attend the exclusive VC Roadtrip in the June and Venture Summit in August. Events are curated on both sides of the experience and meet in the middle for structured startup-investor ‘speed-dating,’ pitching and demos, and one-on-one meetings. Last year’s Venture Summit hosted Keynote, Bill Maris, founder of Google Ventures and the new SoCal VC Firm, Section 32, and drew more than 800 people for the general sessions. Past Cool Companies include: EcoATM, Seismic, Tealium, Empyr, TakeLessons, Edico Genome, Cordial, Wrapify, Skysafe, Cloudbeds, eSub, PetDesk, Guru, Doctible, LoanHero, Measurabl, Nanocellect, Zesty, Attack IQ, Lymber, Mindtouch, and Forge Therapeutics. San Diego Venture Group is uniquely positioned as 100% neutral in the regional marketplace. The group takes no equity, and takes no fees from either startups or investors, with all the work they do. With an extremely lean team, and a working volunteer board, the group is making a meaningful impact in the regional economy. Every year the SDVG opens applications and selects 30 to 40 of the coolest, newest, and most innovative companies in the region. Then intro’s them to a bunch of VCs. Cool Co’s from 2016 & 2017 raised over $100 Million, thanks to SDVG. https://sdvg.org/wp-content/uploads/2018/03/SDVG-San-Diego-Venture-Group-VC-Community-InvestSD-Feature-Event-Cool-Companies-2018-Featured-Image.png 1200 1502 Nicole https://sdvg.org/wp-content/uploads/2018/11/sdvg-san-diego-venture-group-southern-california-vc-startup-business-investor-community_Logo-01-1.png Nicole2018-03-15 07:45:072018-11-15 15:40:29SDVG 2018 Cool Company Applications are Now OPEN! 2017 SDVG Cool Companies Announced! https://sdvg.org/wp-content/uploads/2016/05/SDVG-San-Diego-Venture-Group-VC-Capital-Startup-Business-Community_Cool-Companies-2017_300.png 312 311 Nicole https://sdvg.org/wp-content/uploads/2018/11/sdvg-san-diego-venture-group-southern-california-vc-startup-business-investor-community_Logo-01-1.png Nicole2017-05-25 03:40:342017-06-20 02:30:322017 SDVG Cool Companies Announced! Apply now to PitchFest 2016! APPLICATION DEADLINE – Due October 21 at 5:00 p.m. This is your chance to tell your story and gain valuable exposure – as well as cash and assistance from some of San Diego’s leading professional firms. A group of San Diego’s leading entrepreneurs, venture capitalists, professionals and investors will pick semi-finalists who will present to a panel of VC judges. The VCs determine which start-ups will make the pitch to our audience for fun and prizes! On December 13th, the finalists will make their pitch to an audience of more than 400 who will decide the winners! Recent PitchFest winners have included Portfolium and Companion Medical You can be next! To be eligible, you must not have raised more than $2.0M in capital and/or received $3.0M in grant funding. This event is open to companies in all fields. San Diego companies are preferred, we will consider companies from throughout Southern California. Applications are due by Friday, October 21, 2016 at 5:00 p.m.
https://sdvg.org/wp-content/uploads/2016/09/2016-VC_PitchFest_72dpi.jpg 183 357 Ariel Ruben https://sdvg.org/wp-content/uploads/2018/11/sdvg-san-diego-venture-group-southern-california-vc-startup-business-investor-community_Logo-01-1.png Ariel Ruben2016-09-03 08:27:202017-02-07 09:20:34Apply now to PitchFest 2016! Are you this cool in 2016? These companies are! Now accepting applications for Cool Companies 2015! EcoATM is a COOL Company. TakeLessons is a COOL Company. Organovo, Tealium, Pathway Genomics, StackIQ, and many of our emerging stars were SDVG COOL Companies long before the world discovered them. So too were MOGL, ScoreStream, and Edico Genome. Apply now for your chance to be a COOL Company. No long essays, no forecasts, no interviews! Applications due June 3, 2015.
https://sdvg.org/wp-content/uploads/2013/06/SDVG-San-Diego-Venture-Group-VC-Community-Announcement-Cool-Companies-2015.png 673 847 Megan https://sdvg.org/wp-content/uploads/2018/11/sdvg-san-diego-venture-group-southern-california-vc-startup-business-investor-community_Logo-01-1.png Megan2015-05-07 00:17:342016-07-01 05:44:48Now accepting applications for Cool Companies 2015! Companion Medical and Porfolium WIN! Announcing the winners for PitchFest Dinner 2014……….they are………! https://sdvg.org/wp-content/uploads/2014/12/winners-e1418746597234.jpg 74 150 Megan https://sdvg.org/wp-content/uploads/2018/11/sdvg-san-diego-venture-group-southern-california-vc-startup-business-investor-community_Logo-01-1.png Megan2014-12-12 10:21:162016-06-28 05:50:41Companion Medical and Porfolium WIN! 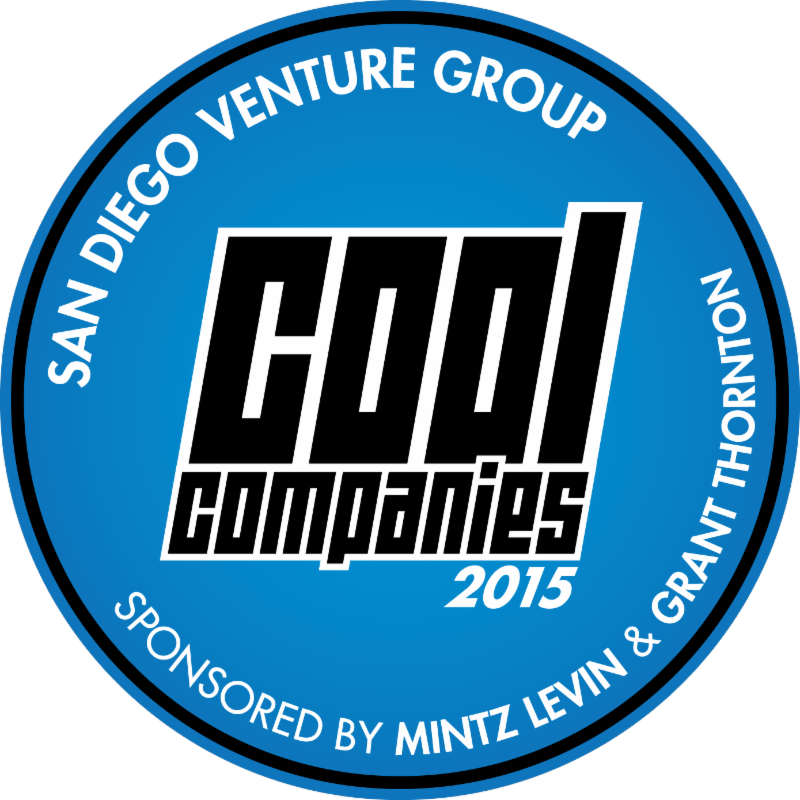 San Diego Venture Group has chosen San Diego’s “COOLEST”! From small garage shops to larger companies, these “COOL” companies will show the world what is happening in San Diego! Are you this cool? These companies are! Embarke FHOOSH, Inc. Glucovation, Inc.
goDog Fetch Hush Technology Independa, Inc.
SOCI, Inc. StrongVolt Synthorx, Inc.